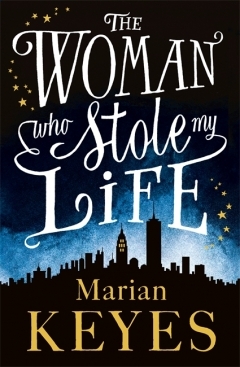 The Woman Who Stole My Life opening line: Can I make one thing clear, no matter what you’ve heard, and I’m sure you’ve heard plenty – I’m not a full-blown Karma-Denier. Is it Karma that introduces Stella to Mannix, or it is just fate? Does one good deed really lead to another, or is disaster just something waiting to happen? Stella is able to ponder over all of these questions and many other life issues while stuck in a paralysed state in a Dublin hospital. This chance meeting and being struck by Guillain-Barré syndrome leads to a complete overhaul of Stella’s life. Ryan keeps claiming that Stella is the woman who stole his life but who is going to steal Stella’s? Stella Sweeny is back in Dublin. After living the dream in New York for a year – touring her self-help book, appearing on talk shows all over the USA and living it up in her 10-room duplex on the Upper West Side – she’s back to normality with a bang. And she’s got writer’s block. This book about love and real life was a real page turner with an interesting story line and a believable set of circumstances, right down to Jeffrey hating his mother! smells like hallmark movies to me thou….. Sorry, another book not for you! Sorry, Dedy, another book not for you! Next time you fly maybe? It’s a while since I read a Marian Keyes so might have to give this one a go.